As you would expect from the title, this series is all about police with tanks. It takes place in a futuristic world wrought with air pollution. The basis of this future is interesting. So many people are sick from the pollution that hospitals only accept healthy people because they want to find out why they're healthy with such odds against them. The series focuses on the heroine and the villain. 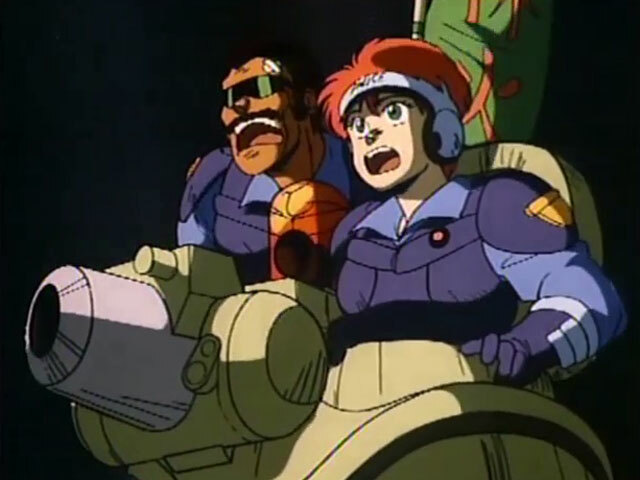 The heroine is a tough police woman trying finding her way with the Tank Police. The bad guy (who's not really so bad) is your average silly, fat criminal. As the series progresses these two characters cross paths and discover some dirty secrets about their world. This is a fun series to watch. I recommend it! Gangsters known as Buaku and the Puma Sisters raid a hospital. 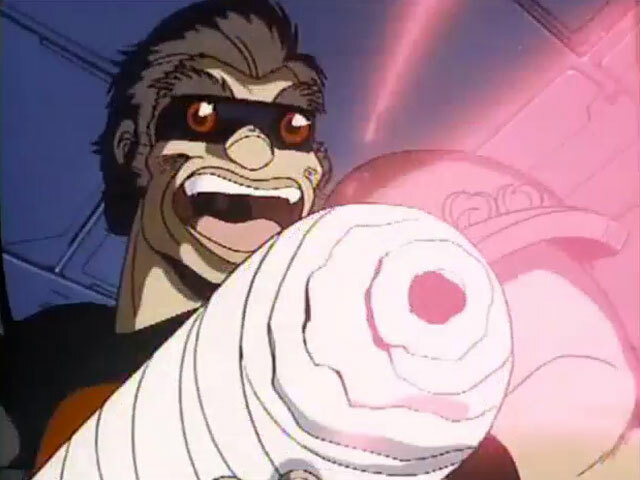 With tanks of his own, Buaku makes a second attempt to rob the hospital. 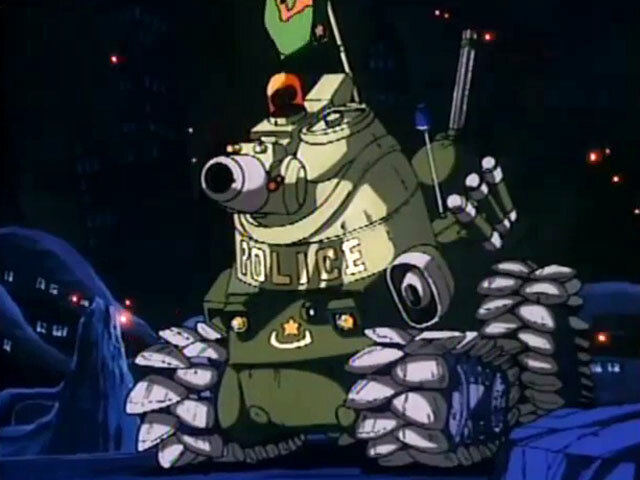 The Tank Police face their biggest challenge yet! Leona helps Buaku figure out his past.